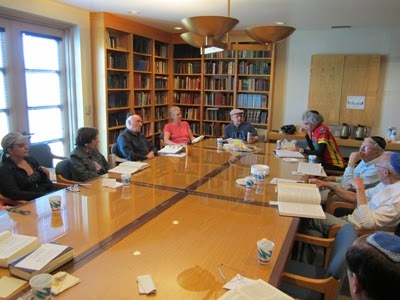 Torah discussions at the synagogue we attend are always animated and interesting. The congregation is diverse in its beliefs and in its political sympathies. Being the only synagogue on the island means that this is where Jews of all stripes gather to pray and study together - - and more than a few non-Jews like myself find a home there as well. Inevitably, the study on this particular Shabbat took us to reflecting on the recent deaths of 3 young Israelis and 1 young Palestinian. And just as inevitably, strongly held opinions and emotions were expressed about the very complex issues and dangers, sufferings and sorrows, guilt and responsibility. It was an uncomfortable morning - - but it is the nature of this diverse community to be able to sit in the same room and vehemently disagree about issues, to continue on with the Torah service to its conclusion and then to sit at table and eat a meal together - - often continuing the discussion that began in the sanctuary. Speaking to and with each other, even and especially when we disagree, is a critical element that holds the life of the community together and we often know holiness in the midst of us. Just last week, we read together the portion of Torah in which Miriam, the sister of Moses, has died. In the tradition, Miriam was perceived as the reason why the Israelites always had a source of water with them as they traveled – a rock from which water flowed, often referred to as Miriam’s Well. With Miriam’s death, that source of water dried up and the people were thirsty and rebellious. To help Moses counter the rebellion, Hashem directs Moses and his brother Aaron: speak to the rock before their eyes…. (Numbers 20:8). 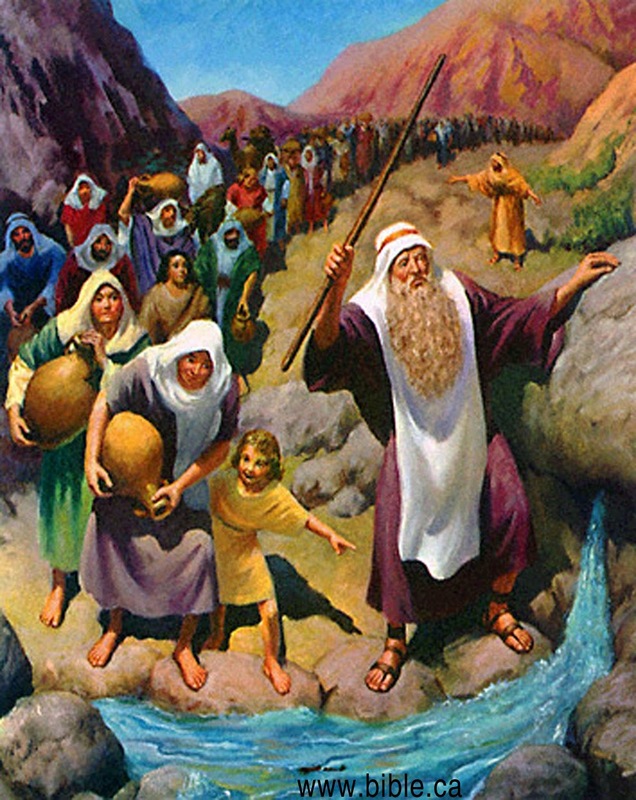 However, Moses uses a rod and strikes the rock twice instead of speaking to it – and the water flows. In one rabbinic understanding, the phrase “before their eyes” means that the people (Israel) were to witness an act of speech. That is why both Moses and Aaron are commanded; speak is in the plural form. The sages refer to this in the teaching that whenever two are engaged in Torah, the shekhinah is present between them. Here, the whole intent was to invoke the Shekhinah’s presence – the immanent presence of the Holy One in the midst of the people - through the command to speak. I have been rumbling around with these teachings and commentaries ever since I read them a couple of weeks ago, as the world of action moves inexorably in the direction of great damage and suffering.While there may be many diplomatic endeavors involving speech going on just out of the public eye, it appears that as human beings we are increasingly exercising action, born of fear and anger, that represents a forgetfulness of our own humanity. As a human community, we live always at the interface between speech and action. When we are able to speak with one another, stay in the same room in the face of disagreement, respect one another’s position, the possibility of entertaining the Holy is there. Often, adequate and sufficient speaking with one another leads to creative action for the benefit of all. In that kind of action the awareness or consciousness of the Holy is not forgotten but realized. Action that arises out of fear and anger leaves us bereft of the Presence of Holiness in our midst. In the Buddhist tradition of the Eightfold Path that flows out of the 4 Noble Truths, Right Speech - - speech that is clear, truthful, uplifting and not harmful - - comes just before Right Action, an ethical foundation for life based on the principle of non-exploitation of oneself or others. The sequence seems to reinforce the notion that with the discipline of careful speech may come the ability to act with care –and perhaps even to become aware of what is holy in our midst. The possibility that one may flow from the other offers hope - - if we can only keep speaking to one another.